Probably the most authentic address for a Breton crêperie in Paris. Located at the feet of the Montparnasse train station where trains from Brittany arrive, it has been awarded the best crêperie of Paris. 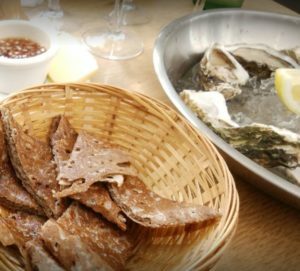 A contemporary crêperie offering Cancal oysters with delicious buckwheat galettes as well as sweet crêpes for dessert. Little Breizh is a tiny place but of great quality. Do not miss its blue window when walking by in this very lively neighbood near St Germain des Prés ! herring galette, with Saint-Malo potatoes that will make you feel traveling to St Malo. And last but not least, a unique gourmet alternative to the traditionnal crêperie near the Paris Opéra house. 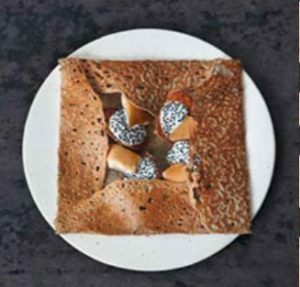 The 2-star Michelin chef and his team prepares la pascade, inspired from a local specialty of Aveyron in the south of France, with delicious and creative fillings. 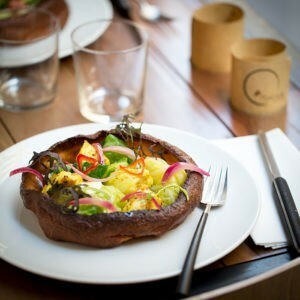 We recommend more good restaurants in our custom made itineraries for your vacations in Paris. Bon appétit !